From weekend warriors to extra long beach walks, your clients may be experiencing an increase in muscle soreness. 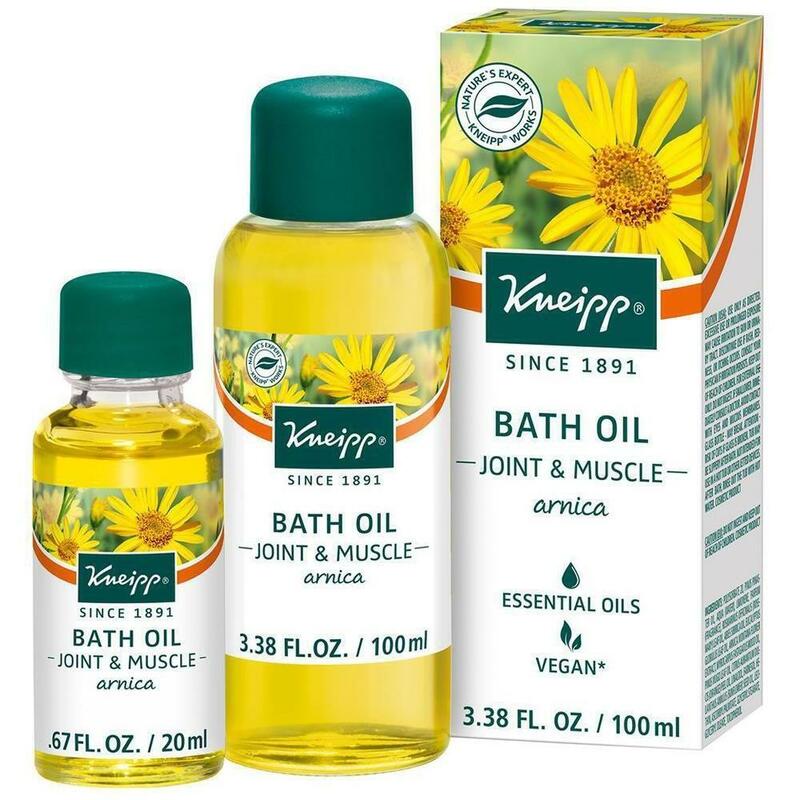 After a massage, continue the clients relief by retailing the Kneipp Bath Oil - Joint & Muscle - Arnica. It's no secret that arnica is a popular option for relieving muscle and joint aches and pains. The Kneipp bath oil blend contains beneficial blend features revitalizing arnica extract, cabreuva, rosemary, and pine essential oils. Dermatologist tested and recommended! Kneipp products contain plant-based functional ingredients. No paraffin, silicone, mineral oils, or animal testing. Clients can relax in a warm bath while continuing to soften sore muscles! An amazing way to end the day - a relaxing massage followed by a relaxing bath! Clients can experience the best of both bath worlds at once - bubble bath and bath salts! I am a huge fan of salt baths and bath bombs as are many other "shoppers" out there. Are you currently retailing bath products to clients? 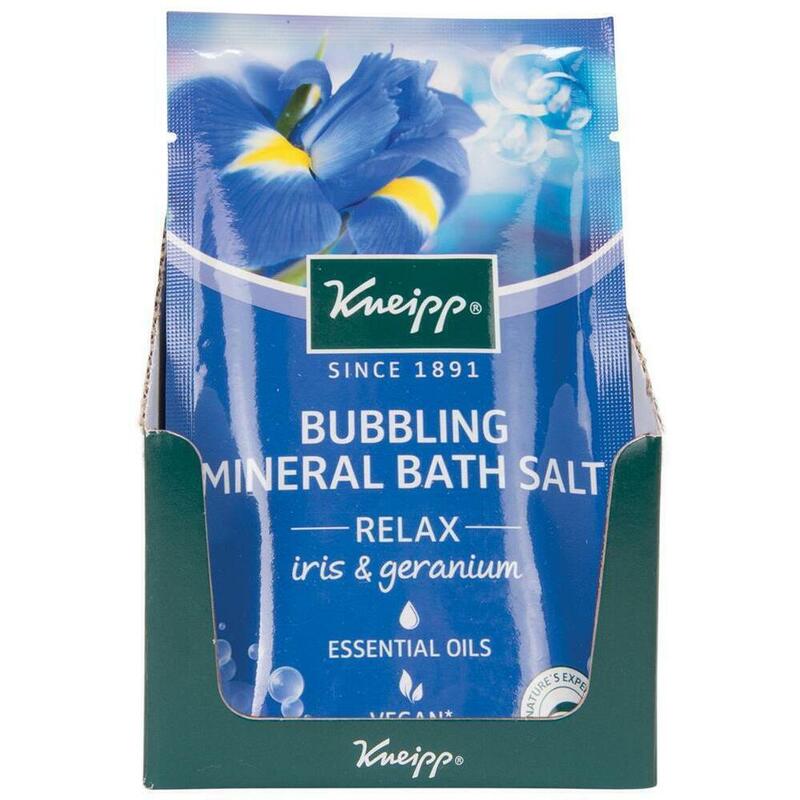 Kneipp Bubbling Mineral Bath Salts can be just the summer boost to those retail sales! Kneipp products contain plant-based functional ingredients. No paraffin, silicone, mineral oils, or animal testing, are dermatologist tested and recommended! Skin can easily lose moisture during the summer fun in the sun. From sun exposure, sweating and many other fun activities and factors, dry summer skin can be a drag. 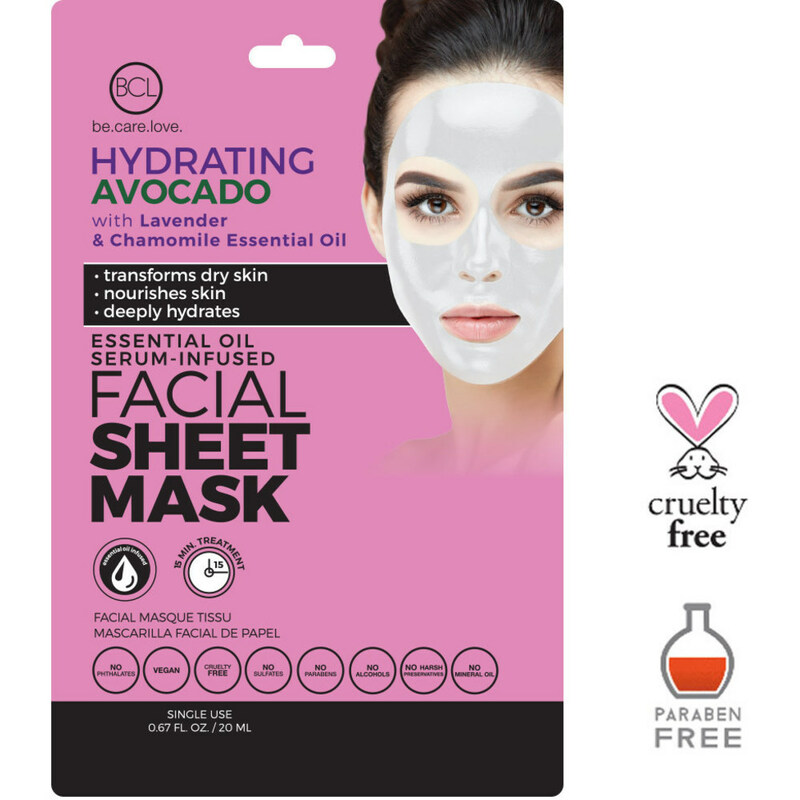 If you're looking for an easy, more natural way to infuse moisture on your clients face, the BCL Hydrating Avocado face masks are easy to use and super cost effective! The BCL Hydrating Avocado offers intense hydration while being earth friendly! It's vegan, cruelty free, no harsh chemicals, parabens or mineral oil. It also contains certified organic ingredients! In 15 minutes you're clients will notice softer, smoother and more supple skin. 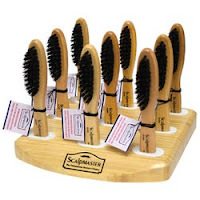 Sold in a 6 pack for less than $3.00 per treatment, these make amazing retail items as well! Every day clients contact us looking for natural and organic product options. Super excited to see more and more companies focusing on hearing these pleas and reacting! I was speaking with a client yesterday, who has been searching for organic essential oils, with no luck! One of the newer additions to the Pure Spa Direct line up, is Absolute Aromas. 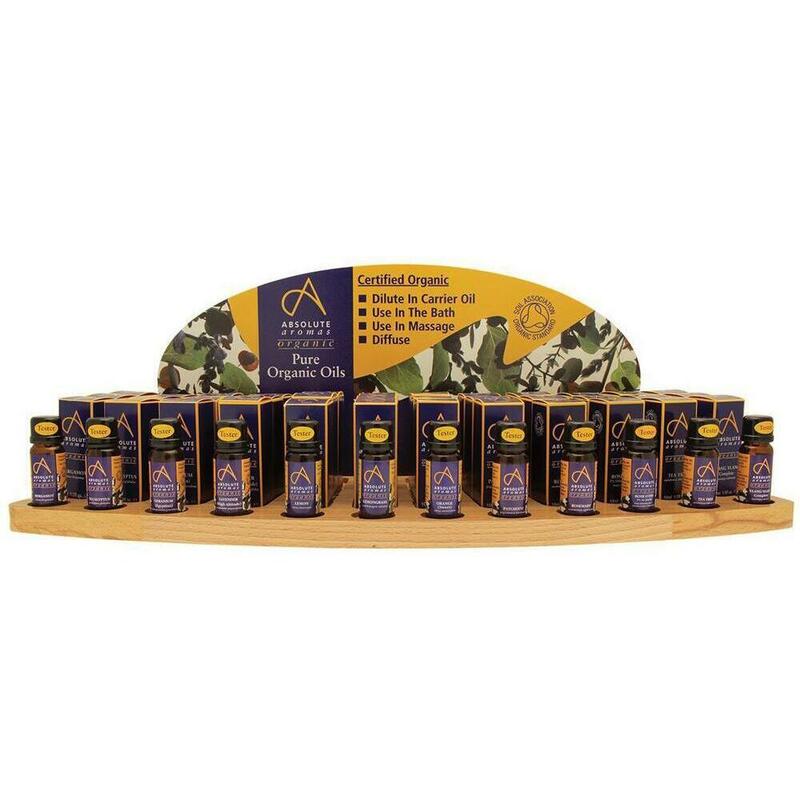 With a selection of fine face and body oils, they also have a larger than expected line of organic essential oils! From individual bottles for using in services and gift packs to a beautiful display with a selection of scents, including a tester! The display allows for easy retail complete with product information on the display making it an eye catcher for clients! 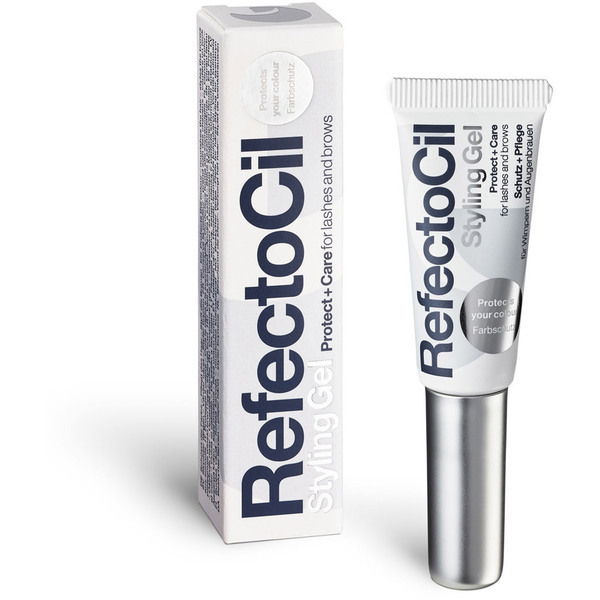 The new RefectoCil Styling Gel is the perfect retail item for clients coming in for lash services. For clients with unruly hairs, this will help tame those wild things! It can be applied daily or as a pick me up in between services. These make for an easy add on "finisher" to your lash and brow service and easy retail item. Simply explain the benefits, place in your clients hand and send them on up to the checkout! One trend that has yet to see a drop off, is that of natural and organic products. 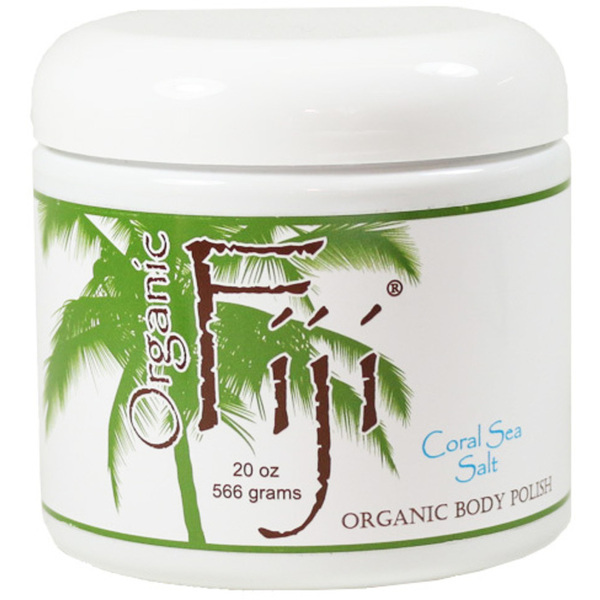 One of the favorites of spas and salons around the world, is Organic Fiji. Organic Fiji uses certified organic cold pressed coconut oil in their products. Using the cold press method means that the coconut oil holds onto all it's healing properties and benefits, making it an exceptional choice among the plethora of coconut oil products on the market. From lip balms and lotions to soaps and body polish, Organic Fiji has your "got to have" retail items for the Spring and Summer seasons! 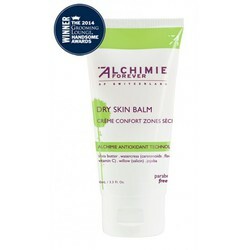 If you have clients suffering from dry skin, or are wanting to get their skin in silky smooth shape in anticipation of the warmer weather, take a look at the Alchimie Forever Dry Skin Balm. The Alchimie Forever line was created by a dermatologist in Switzerland to bring effective, cruelty-free and vegan-friendly products to the market. The dry skin balm is chock full of super hydrating ingredients including shea butter, watercress and jojoba. One of my favorite things is that it can be used on all skin types, including sensitive or sensitized skin. It doesn't have a weird sticky residue either, it just leaves the skin super soft. It's the perfect time of year to educate clients on maintaining their skin hydration. Have some on hand to finish services off and put a few near the checkout for easy retailing! Detox and slimming treatments are in full swing across the globe. Here is an effective recipe designed to clean, exfoliate and reduce the appearance of cellulite while drawing out impurities from the skin. In a large rubber mixing bowl, combine 1/4 cup of green tea powder with 1 teaspoon of borage oil and mix well. Add in 3/4 cup of dead sea mud and 2 teaspoons of grapeseed oil, and mix well. Place the bowl in a mud warmer, hot towel cabinet or large stainless bowl filled with water to keep warm until ready to apply. It's as easy and quick as that! Prepare the table and client as you normally do for body treatments. You can customize by adding in essential oils as well! Here are some great back friendly options for use in your spa treatments, as well as some perfect options to retail to your clients to keep their backs in great form! 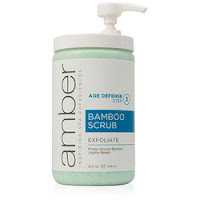 Finely ground Bamboo and active Enzymes restore dull, undernourished skin through exfoliation. Moisturize, soothe and calm skin with Rosemary, Calendula, Cucumber and Mango. Bamboo helps lighten discoloration with continued use, while Papaya Extract acts to refine pores. Paraben & Sulfate Free. This great back brush has a longer span than your standard body brush which is perfect for those hard to reach areas such as the back or behind the legs. 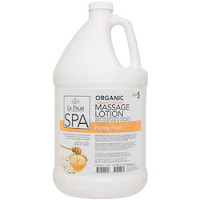 Healing Therapy Massage Lotion restores moisture to dry, tired skin. Combines a special blend of collagen, elastin and botanical proteins. Gallon. BODY BUDDY Applicator / Cream. The Body Buddy is a non-porous, non-absorbent lotion applicator. 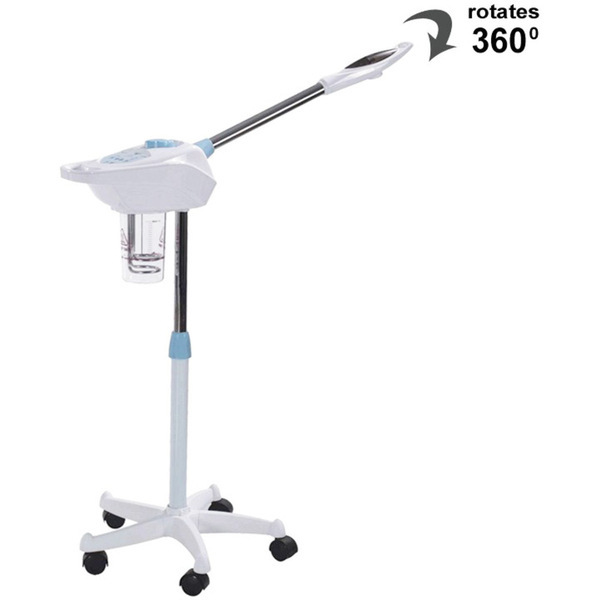 It provides the extra reach your clients need to easily apply lotion, sunscreen, and sunless tanner to their own back. Made of soft vinyl, it folds neatly to travel to the beach, gym, or pool. 4" wide by 30" long. 2 handles made of 100% cotton elastic. Cream. The recommendation I've been asked for multiple times each day this week so far, is for a moisturizer. Dry, aging skin are on the forefront of client concerns. My mother called me a week or so ago complaining that she just can't find an effective moisturizer that brightens. She said she had tried multiple ones that were okay but none seemed to brighten. Now my mother is in her 70's and isn't up on ingredients and things like that. She is the client who just needs recommendations from someone she trusts. How many of your clients are the same? 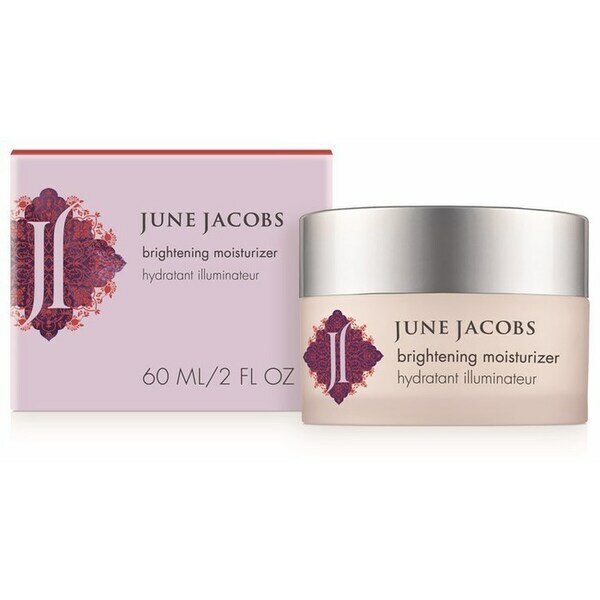 I sent her a bottle of the June Jacobs Brightening Moisturizer as a surprise. She noticed from the start that it just felt nicer when she put it on. She enjoyed not having to slather it on (a little goes a long way with June Jacobs products!) and how fresh it felt. She called me after 4 uses excited as her skin was no longer dry, and it was brighter already. Paraben and preservative free, lactic acid for gentle exfoliation, combines with sweet almond oil and shea butter for the hydrating effects. Lemon peel extract rejuvenates and increases the luster of tired skin, while bearberry root, mulberry root, licorice extract and Gigawhite™ act as natural lightening agents to help reduce the appearance of hyperpigmentation. What that all means is your clients get a one-two punch of goodness leaving their skin soft, supple and looking younger! I'm sharing this quick story as it is important to always be aware of who your clients are, not just what is going on with their skin. We may forget, as professionals immersed in the industry, that not everyone knows what may seem "novice" or "basic" terms, products or ingredients. Test this out on yourself, your VIP clients or bring in a few to get clients feedback. Aside from the flu, one of the most common topics buzzing right now are steamers. From an old steamer finally gave out, to one from Amazon that wasn't designed for heavy professional use couldn't handle the holiday rush. If you've been noticing some issues or even wear and tear affecting the appearance of the steamer (clients don't want to see dirty, broken down equipment; would you?) or don't yet have a back up, you can't afford to wait any longer. Whether you need one with ozone or aromatherapy or even a mini table top (these make great retail items as well!) for emergencies or space concerns, there are fantastic options in every price range. If you like keeping your cash flow positive, head over to the financing application! Do your clients come in looking for solutions to their puffy under eye area? How about dark circles and fine lines under the eye? I recently had a conversation this week with an esthetician who adds an under eye anti aging treatment to almost every service she offers. 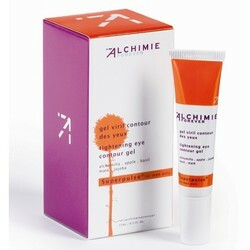 If you're clients are concerned with looking their best, Alchimie Forever Tightening Eye Contour Gel is an effective product to be retailing. Dermatologist-formulated and tested in Switzerland, this eye contour gel penetrates instantly to reduce puffiness and firm the eye contour area. Organic apple extract minimizes the look of fatigue and protects from the effects of environmental stress. 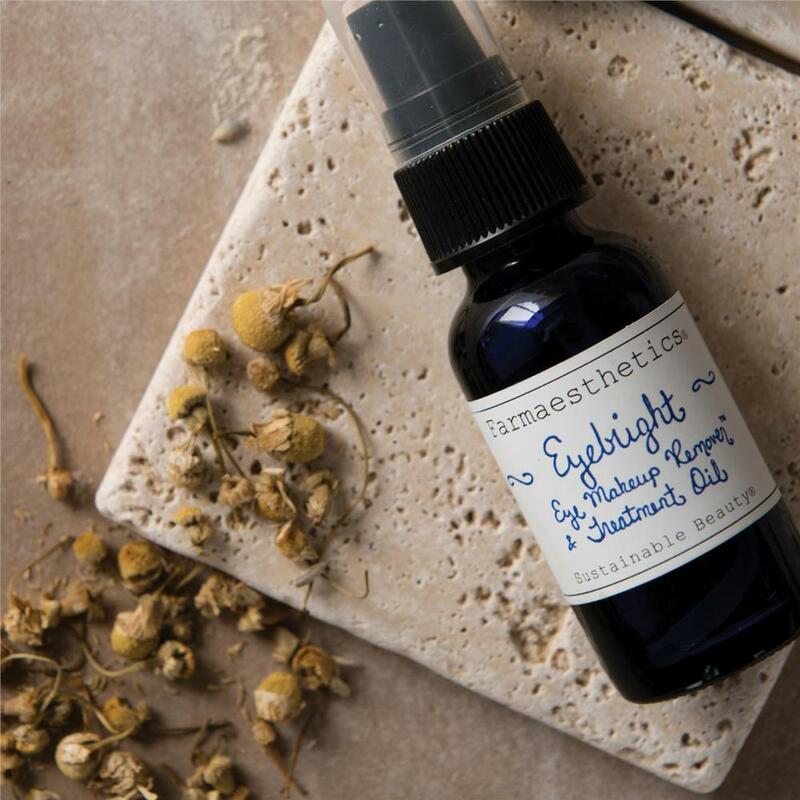 Alchemilla, a powerful astringent, minimizes under-eye bags and brightens the skin. Natural antioxidants derived from maté and the vitamin K contained in basil combine to minimize the look of fatigue and dark under-eye circles. Clinically proven to be highly concentrated in antioxidants. It is also suitable for all skin types making it a great options for your clients! Hope everyone has an amazing weekend! The last few weeks, the majority of people I've spoken with have all had the flu. It's widespread and hitting hard. Is your business ready to help protect staff and clients? Have extra hand sanitizer bottles placed in every room, have some for retail, keep a bottle at the front desk. Be sure to have plenty of disinfectant wipes, disinfectants, gloves and face masks if needed! Here are some great retail options that ship complete with a convenient branded display! 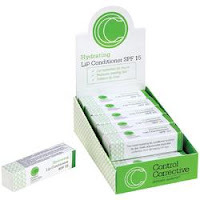 A convenient add-on to any retail order, this box doubles as an attractive display and includes 12 units of Control Corrective Hydrating Lip Conditioner SPF 15, each packaged for individual sale. A year-round popular product, this silky balm moisturizes with botanical-based oils and herbs and provides essential protection from the sun’s damaging rays. Ideal as the finishing touch on a facial. Clients can kiss dry, cracked lips goodbye! Keep your lips feeling hydrated and protected with our Hydrating Lip Conditioner SPF 15. After a Nufree treatment, your clients will love being able to take home their own finipil Lait 50! Each tube has individual instructions for easy use. Finipil destroys 99.99% of bacteria, while instantly cooling, protecting and shrinking the empty hair follicles, but it has also been proven to slow hair regrowth and stop ingrown hairs, when used on a daily basis. 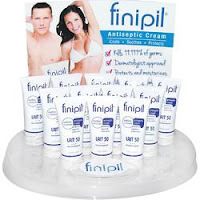 Finipil is not only used for post-treatment it makes an excellent base under your makeup and is great for burns! 12 Piece Retail Display, each tube is 31ml. 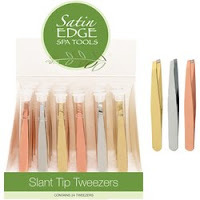 24 stainless steel slant tip tweezers in metallic gold silver, and rose gold. 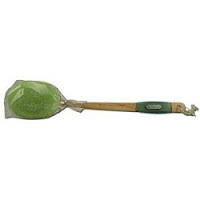 Each tweezer measures 3-3/4"L and is individually packaged in a clear plastic cylinder. Now that you're all stocked up on your New Year's Special champagne, diamond and gold items, it's time for an amazing Valentine's Day item. 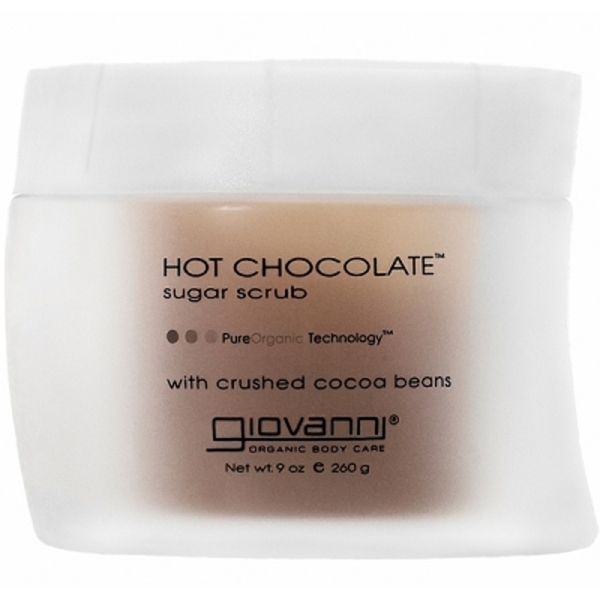 This week's product is the Giovanni Hot Chocolate Sugar Scrub. To say this smells good, is an understatement. I would buy this even if it wasn't effective, that's how delicious this smells. If you want to have a signature Valentine's retail item, have a signature item that you give to clients with a Valentine's Day treatment or package or want to use as an add on service, this is it. It smells wonderful, is effective at exfoliating, hydrating and it is vegan and cruelty free! Hope everyone has a wonderful weekend and holiday! Farmaesthetics is infamous for having effective products, with all natural ingredients. They are beautifully packaged and available in both a retail and back bar size. This highly specialized, non-aromatic herbalist formulation is prepared by hand with organically grown herbs. Unlike typical massage oils made with herbal extracts or aromatic essential oils, Farmaesthetics' Remedy Oils are infused with whole organic herbs. The herbs we choose undergo a traditional infusion process, allowing time to garner the healing properties inherent in each. The result is significant when used in hot bath soaks and external massage and absorbed through the skin. Why is arnica so awesome? Arnica is highly regarded in herbalism for its ability to diminish bruising and swelling in skin tissue. Arnica has a complex chemistry but simply put, the herb works to affect the blood vessels so that there is a rapid reduction of inflammation, the kind associated with the injured tissue. A capful used in external massage or in a warm bath soak is a simple, effective way to introduce Arnica into the system, while at the same time conditioning the skin & improving circulation. Dermatologists are now recognizing the many benefits of Arnica for patients following laser or plastic surgery. 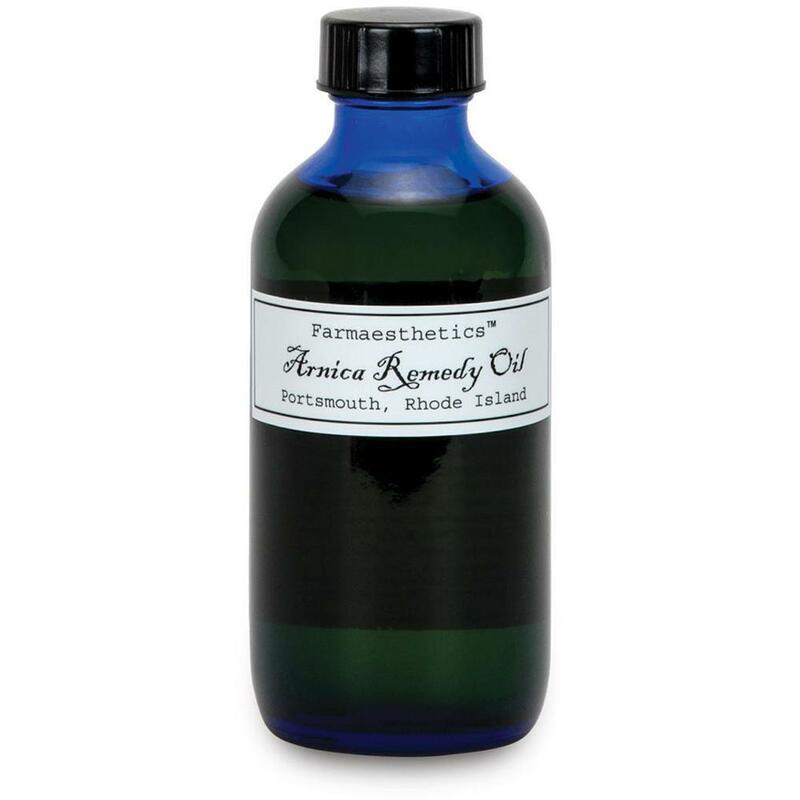 For clients experiencing tired or sore muscles, try using Farmaesthetics Arnica Remedy Oil in your sports massages. The result is significant when used in hot bath soaks and external massage and absorbed through the skin. You can also spike your favorite massage oil with just a capful. Incorporate the 10 oz Remedy Oil into your services, and retail the 4 oz Remedy Oil for happy clients! Your clients will love a natural solution to removing makeup! Plus it works as a treatment for anti-aging and is extremely soothing. Try it in every treatment and retail it too! Farmaesthetics Eyebright Makeup Remover and Treatment Oil / 1 oz. Remove cosmetics, ease the appearance of fine lines, and soothe tired eyes—all with a combination of soothing eyebright, which is great for tired eyes, with chamomile in simple sweet almond oil, results in a well rounded, all natural, and multipurpose oil. Apply the oil to a cotton pad, place over the eye area, and rest to allow thorough, deep absorption of herbal constituents and relieve dry, flaky, red, or irritated eyes. Three treatments in one: Non-chemical eye make up remover, line smoothing, anti-inflammatory application to soften fine lines and wrinkles and a relaxing compress to sooth eyestrain. The herb Eyebright is known in herbalism to relieve eyestrain and redness due to fatigue from over-use, environmental irritants or allergies. As the nerves in the eyes are relaxed and strengthened, there is less strain, therefore less squinting and less rubbing. By combining Eyebright with the soothing properties of Chamomile in simple Sweet Almond Oil, one is applying an ancient remedy to an age-old complaint and removing eye makeup to boot! No missed opportunity here. A Non-Chemical Eye Makeup Remover – Doesn't contain the harsh, synthetic, chemical solvents that are in most makeup removers and that dry and irritate, delicate eye tissue. Tender Treatment Oil for delicate skin - Made with nature's most settling calming emollient: Chamomile is a soothing, powerful anti-inflammatory agent. Herbal Whole Eye Treatment – Helps relax the ocular nerve. Our eyes are faced with stress and strain everyday, especially in our environmentally challenged world with computer driven business and communication, fluorescent lighting, poor indoor and outdoor air quality, air pollution from cleaning products, carpets, and chemically treated foods. Our eyes are exhausted by day's end and our eyesight is diminished with the continued strain of focusing and refocusing under often times poorly lit screens and work spaces. Grapeseed Oil stabilizes the preparation, but also yields an anti-bacterial action to the preparation. Eyebright Heated Eye Treatment Pads. 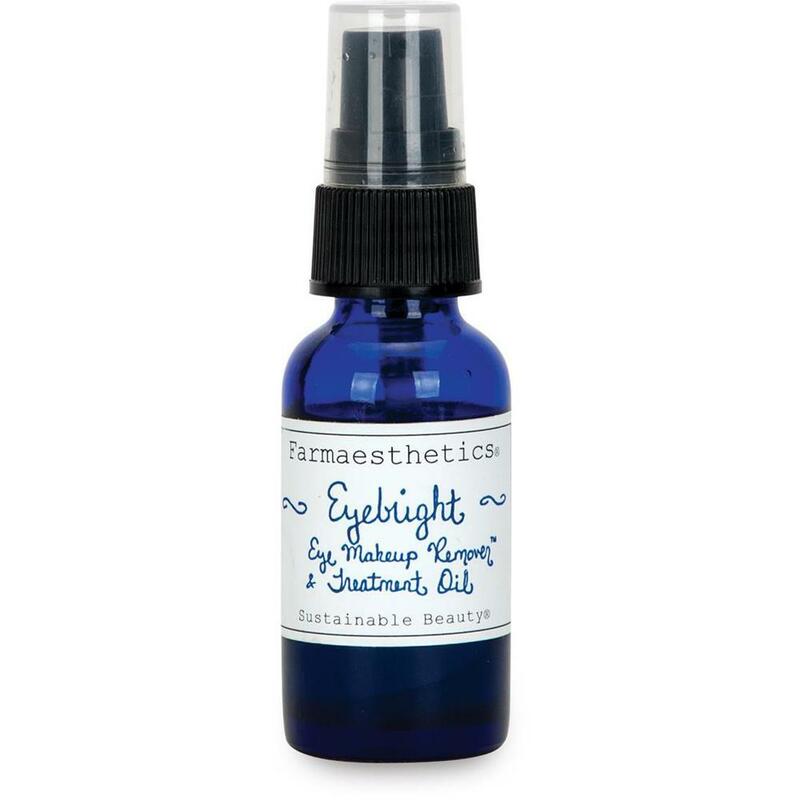 Place warm Eyebright Treatment Oil on cotton pad and place over eye area and rest. This allows for thorough, deep absorption of the herbal constituents. If the eye area is dry, flaky, red and irritated from allergies or skin related disorders, this heated eye treatment pad will activate the beneficial emollients to the tissues. Eyebright Extract: Known in herbalism for relieving eyestrain, puffiness, and redness due to fatigue, environmental irritants, allergies, or over-use. As the nerves in the eyes are relaxed and strengthened, there is less strain and less tendency to squint or rub the eyes, both of which contribute to fine lines and inflammation. Sweet Almond Oil: A light, odorless, high-grade fruit kernel oil - wonderfully nourishing to the skin. Orange Wax: Orange wax is the semi-solid wax taken from orange rinds. The wax sourced by Farmaesthetics is derived without solvent extractions or chemical reactions, making it an all-natural ingredient. Orange wax as found in orange peels protects the fruit against the environment, allowing it to breath, while maintaining its essential water balance. When applied to the skin, it works in much the same way, making it a wonderfully emollient, gently protective ingredient, perfect for use around tender eye tissue. Vitamin E: Used to stabilize all of Farmaesthetics natural non-aqueous formulations. Benefits in restoring skin's elasticity. Assists in healing scars and preventing stretch marks in skin that is being stretched from pregnancy or weight gain. Grapeseed Oil: Known as a natural antioxidant – helps benefit tender tissue around the eyes. Chamomile Essential Oil: Farmaesthetics uses oils derived from German Chamomile. This is a soothing, calming herb with anti-inflammatory properties. High in azulene, it is known to be an anti-allergenic agent and is therefore excellent for reducing puffiness around delicate eye tissue. Aside from the obvious difference, do your clients know which would be better for their skin? Clients may not always know the same information we think they do, and could be using the wrong product for their skin type or dermatological concerns. While both exfoliate the skin, sugar tends to be less abrasive, making it preferable for clients with sensitive skin and gentler for use on the face or newly waxed skin. Sugar scrubs also tend to be more hydrating for the skin. Salt scrubs are more abrasive, which makes them excellent for exfoliating before body treatments, are great for reducing inflammation and since salt is known for antibacterial properties, making it good for acne. From back bar to retail sizing, we've got effective, profitable and great smelling options for both salt and sugar so you can customize for your clients! Happy Friday! Hope everyone has been having a busy week! 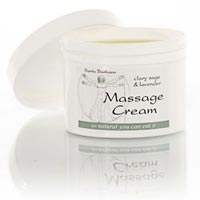 Massage Therapist tend to be picky about what medium they use for massage whether it be oil, lotion, cream or gel. Personally, I've never been a fan of oil and only used lotion in school and in my own practice. When I received a gift of each scent of their line, I was immediately hooked. They smell WONDERFUL! Made from olive oil, beeswax and coconut oil, it melts with body heat. With just the right amount of glide, this is phenomenal for both deep tissue without being too greasy, as well as silky enough for Swedish massage. It's an all-natural alternative for clients and therapists who prefer a more natural approach. Add in the benefits of specific essential oils, you can customize for your clients. Available in Ylang Ylang & Orange, Clary Sage & Lavender, Eucalyptus, Lavender - and there is an unscented for sensitive clients or those who simply don't like scented products. Try out an 8oz size to try for yourself, you'll be surprised how a little goes quite a long way! The smaller sizes also make great retail items!